1. You conclude a Framework Agreement with us, Car4share BV, (located and holding office at Vonderweg 24, 7468 DC in Enter, KvK nr: 69261539), trading under the name IONIQ car sharing. Additionally, you will conclude a separate Rental Agreement for every ride. These Terms and Conditions apply to all agreements. The price list as mentioned on our website is also applicable to these agreements. a) Corporate Account involves the registration of a legal person as a Customer, which allows the legal person to register more than one person who can use a Vehicle in the name of this Corporate account and thus in the name of the legal person. b) Rental Agreement is the rent agreement of a Vehicle resulting from the use of an IONIQ car sharing Vehicle by the Customer, based on the Framework Agreement. c) IONIQ car sharing is the party which provides the Vehicle for rent. d) IONIQ car sharing's mobile application is the IONIQ car sharing digital key (hereinafter referred to as App), which allows the Customer to reserve a Vehicle of IONIQ car sharing and thus receives access to a Vehicle. e) the Customer is a natural person or legal entity or company who/which has successfully registered with IONIQ car sharing. f) Framework Agreement is the agreement between Customer and IONIQ car sharing, which defines the identity of the parties and the terms of rent in general and which serves as the basis for the separate Rental Agreement per use. g) Parking Permit is the Vehicle License issued by IONIQ car sharing for parking within the city limits of Amsterdam. A detailed map of these city limits can be found on the IONIQ car sharing website: www.ioniqcarsharing.nl. h) Vehicle is the IONIQ Car sharing car made available by IONIQ car sharing. 3.1 A Framework Agreement is set up after a request has been accepted by IONIQ car sharing and the (electronic) authorization for automatic payment has been given. IONIQ car sharing accepts digital signatures and values them as equal to inked signatures. 3.2 Depending on the Framework Agreement, one or more users may be registered to make reservations and drive with the Customer Vehicle. A person who is not registered at IONIQ car sharing is not allowed to drive the Vehicles offered by IONIQ car sharing. 3.3 IONIQ car sharing reserves the right to set additional terms for registering multiple users under the Framework Agreement. As a legal person, you can only become a Customer if the natural person who registers the Corporate Account is already registered as a Customer. The registering natural person will then be able to register other users under the Corporate account (e.g. an employee) on the IONIQ car sharing website. The registering natural person only undertakes to registering a Corporate Account and its associated users if and to the extent permitted by the legal person. 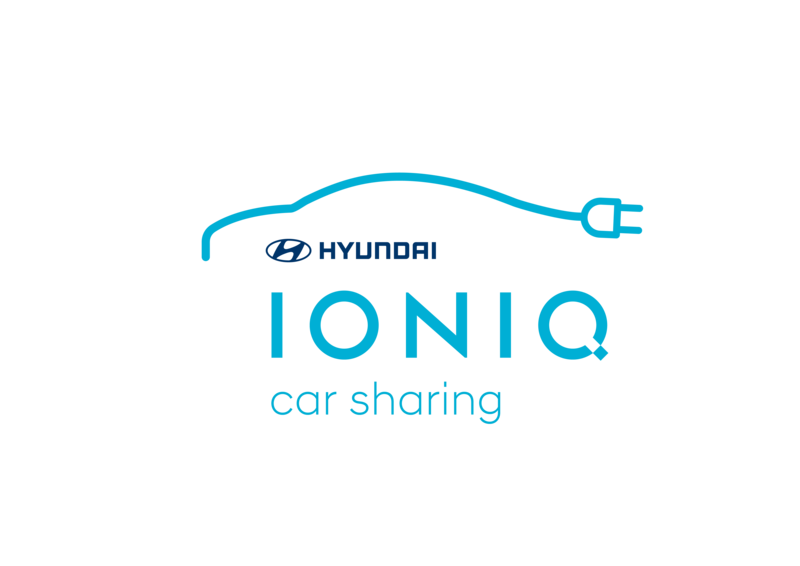 (c) to be in possession of a charged smartphone on which the IONIQ car Sharing App is installed and have access to the Internet (including during use). The Client is responsible for this smartphone, Internet access and the associated costs. 4.3 The Customer shall communicate to IONIQ car sharing all the changes in the personal data provided by them to IONIQ car sharing via the settings in the App. This also applies to eventual incapacity to drive a car or Vehicle due to, for example, revocation or suspension of the driving license. If the provided data is demonstrably incorrect (e.g. incorrect e-mail address), IONIQ car sharing reserves the right to temporarily suspend the use of a Vehicle or to deactivate the account of the Customer. 4.5 It is strictly forbidden to allow third parties to use IONIQ car sharing Vehicles. Furthermore, it is not permitted that the Customer provides information to a third party with which he can reserve, access, and / or use the Vehicles. This also applies if the third party itself is a Customer of IONIQ car sharing but excluding the use by multiple Customers of a Corporate Account as described in Section 3.3. For each breach, the Customer will pay a contractual fine of € 2,000, - without prejudice to the right of IONIQ car sharing to claim further damages. 5.1 Through the App, IONIQ car sharing provides, under the Framework Agreement, a digital key to the Customer and hereby grants the right to use a Vehicle. Rights under, or related to the Framework Agreements or digital keys are not transferable. 5.2 The Customer is obliged to report loss or theft of his / her smartphone with App directly to IONIQ car sharing (via the IONIQ car sharing website or by calling customer service) so that IONIQ car sharing can block the App and prevent abuse. 5.3. Customer receives or chooses a username and password during the registration process that gives him / her access to functions and (personal) information on the IONIQ car sharing website (e.g. to reserve IONIQ car sharing Vehicles or to view and change personal information). The Customer must keep the username and password secret. The Customer agrees to change the password immediately if IONIQ car sharing requests. 5.4. It is the Customer’s responsibility to keep the smartphone, use of the App, all (access) codes and identification data safe and confidential. 6.1. The Customer may reserve and use Vehicles from IONIQ car sharing through the App. Upon receipt of the reservation, the Customer acquires the exclusive right of use on the Reserved Vehicle. 6.2. Cancellation of a reservation is only possible through the App before commencement of use. If cancellation fees apply, the cost hereof are reflected in the price list on the website. Customer is obliged to immediately notify IONIQ car sharing via the App or customer Service, stay with the Vehicle and follow the instructions of the IONIQ car sharing customer service. When in doubt if the locking of the car was successful, the Customer is obliged to call customer service to verify this, and if needed let the Vehicle be locked by them. If the Customer fails to or does not lock the Vehicle, this may result in the rental period not being terminated and the usage costs continue to be charged to the Customer. Any damage to IONIQ car sharing may also be claimed on the Customer. 7. Where and how to park? 7.1 When ending the use of the IONIQ car sharing Vehicle, the Vehicle must be legally parked within the area of the Parking Permit in Amsterdam, as indicated on the map that can be found on, among others, the website and the App. Parking at the end of use of the Vehicle is not permitted on a parking space that is not freely accessible, such as on a private site, but also not permitted in places intended for loading and unloading, parking spaces designated for disabled, car date or other car sharing providers such as Greenwheels or in parking spaces with a time restriction. If the Vehicle is not parked in accordance with the above at the end of the use of the Vehicle, all costs resulting from this way of parking, such as parking fine(s) and towing costs will be borne by the Customer. These costs are immediately due and payable. Where the IONIQ car sharing service team encounters an incorrectly parked IONIQ car sharing Vehicle at the end of use of the Vehicle, the Vehicle will be relocated to prevent fines and additional costs. The associated costs for this relocation will be charged to the Customer. These costs are also immediately due and payable. 7.2 If the Vehicle's battery is charged 30% or less, Customer is obliged to connect the Vehicle to the charging station. If the Vehicle is not connected to the charging station with the charging cable and Customer has not informed IONIQ car sharing with a valid reason not to charge the Vehicle, IONIQ car sharing has the right to charge Customer a fine, immediately due . 8.1 The Customer agrees to pay the prices as stated in the price list on the IONIQ car sharing website. The price will be displayed to the Customer during each reservation and before each use in the App and on the website. It is only necessary to pay for the use of a Vehicle. The administrative information of IONIQ car sharing is thereof decisive. which the amortization or (SEPA) collection takes place, is sufficient for the use of the Vehicle. 8.3. If the Customer does not pay or is too late for any reason, he is liable for collection charges calculated in accordance with the Decree on extrajudicial collection charges of 27 March 2012. 8.4. Only IONIQ car sharing has the right to settle amounts due by the Customer with any countervailing charges. The Client is not entitled to a settlement. Also, the Customer has no right to hold Vehicle(s) of IONIQ car sharing up to the satisfaction of his claims against IONIQ car sharing. 9.1 IONIQ car sharing is committed to supply a vehicle suitable for use after the reservation has been confirmed, at the time and location stipulated in the reservation to their best ability. IONIQ car sharing cannot guarantee the 100% accuracy of the GPS coordinates in its App and therefore cannot be held responsible for it. 9.2. At the commencement of the use of a Vehicle, a Vehicle damage or defect may appear to be present, as a result of which the Vehicle cannot be used or use is restricted. IONIQ car sharing will then endeavour to find a replacement Vehicle as soon as possible, which could be by referring the Customer to a Vehicle at a location other than stated in the reservation. 10.1. As long as a Vehicle is used by the Customer, the costs associated with use, including toll or parking fees, are borne by the Customer. Parking is free in parking spaces where the Vehicle Parking Permit provides coverage, provided that the Vehicle is legally parked. (Parking) fines or other related costs or costs made for reduction of harm, such as relocation costs are immediately due and payable by the Customer. 10.2 The use of the loading keychain present in the Vehicle is free of charge, provided that only the electricity for the Vehicle is paid with it. The loading keychain can only be used at public charging stations. If the loading keychain cannot be used for payment, for example at a private charging pole or company charging pole, the loading costs are charged upon the Customer. Use of the charging keychain for charging other vehicles is strictly prohibited. This imposes a fine of € 250, -. If the loading keychain is demonstrably used at any time for any other vehicle, the Customer is required to refund all costs to IONIQ car sharing to discretion of IONIQ car sharing. The loading keychain must remain in the Vehicle, and is subject to payment of a fine. 11.1. In the Vehicle there is a user manual that the Customer must read and follow. This also means that the Customer must, in the prescribed manner, attach the Vehicle with a charging cable to a charge point, and always park the Vehicle in the appropriate and authorized places, clean up after usage, take all personal belongings, close the windows, and lock the Vehicle in a correct manner. i) to repair the Vehicle in case of damage or defect without the express and prior permission of IONIQ car sharing. 11.3 The Customer must provide additional equipment such as child seats. Child seats may only be used on the back seat. Installing a roof rack is not allowed. 12.1 For the Vehicle, IONIQ car sharing is subject to civil liability insurance in accordance with the Liability Insurance Act (WAM). The Customer pays the own risk of € 250, - in case of damage. However, if the Customer acts in breach of an obligation regulated in these Terms and Conditions, with the result that the insurer is not liable for compensation, the Customer shall fully refund the resulting loss for IONIQ car sharing. 12.2. The Customer is liable for the conduct and negligence of his / her passengers, even if this behaviour was not permitted by the Customer. 12.3. The Vehicle is regularly checked for damage and defects by IONIQ car sharing according to legal obligations. The Customer must, however, check the Vehicle on damage, defects as well as defects not mentioned in the damage status in the App and notify IONIQ before use. To be able to attribute the damage as accurately as possible, to the correct Customer, the notification must be done as completely and truly as possible and before the Customer presses "Start use" in the App and starts the engine. If this does not happen, the damage might be attributed to the previous Customer of the respective Vehicle. 12.4 In the event of an accident, failure or any event from which damage may arise or has arisen for any party, the Customer will contact IONIQ car sharing's customer service immediately. The Customer is obliged to follow the customer service instructions. Enabling any form of assistance outside IONIQ car sharing will be at the sole expense of the Customer. In case of an accident involving a third party or a third vehicle, the police must be contacted. 12.5. In case of damage, the Customer must provide all information that may be of interest. The claim form must be completed immediately and handed over to IONIQ car sharing, fully and truthfully and signed, within 5 days after the damage case. If the damage form is not submitted, or is submitted too late, this is considered as an obstruction to the damage handling and IONQ car sharing reserves the right to recover the costs associated with the accident on the Customer. Incorrect statements, in particular regarding liability, are borne by the Customer. 12.6. Should claims for IONIQ car sharing be paid directly to the Customer, then the Customer is obliged to immediately refund this amount to IONIQ car sharing. 13.1 The liability of IONIQ car sharing is limited to the fulfilment of the obligations expressly stated in these Terms and Conditions by IONIQ car sharing. They are never liable for damages suffered by the Customer directly or indirectly, as a consequence of, or in connection with the desired or actual use of a Vehicle. 13.2 In all cases where IONIQ car sharing would be compulsorily obliged to compensate damage, this amount will never exceed the amount that IONIQ car sharing’s liability insurance will pay for the damage in question. If there is no insurance coverage for IONIQ car sharing liability, IONIQ car sharing is subject to compensation for damages of up to € 250, -. 14.1 Framework Agreements are undertaken for indefinite period and end by termination by either party. All Framework Agreements end with the Customer's bankruptcy, deferral of payment, or debt restructuring under the law, always at the time of the statement or determination thereof. 14.2. The termination of a Client Agreement by the Client may be done at any time by indicating this in the settings of the App. a) in the case of late payment after notice of default regarding the use of IONIQ car sharing. (parking) Fines and/ or other related costs are immediately due and payable. Payment arrears in (parking) fines and / or other related costs can therefore lead to direct unilateral termination by IONIQ car sharing. b) if it appears that during the registration or during the term of the Framework Agreement, incorrect information was provided or has not been provided and therefore IONIQ car sharing cannot be expected to continue the agreement. c) If Customer has failed, after notice of termination, to fulfil his / her obligations arising from the agreements or these Terms and Conditions. d) in the event of any suspicion of IONIQ car sharing of misuse, fraud or other improper actions by Customer or person who has access to Customers identification data, solely to the discretion of IONIQ car sharing. c) right to claim compensation. 14.5. IONIQ car sharing has the right to immediately suspend any possible obligations towards the Customer until complete payment of a claim has taken place. 15.1 IONIQ car sharing explicitly reserves the right to make and publish changes to the General Terms and price list on its website. 15.2. These Terms and Conditions, the Framework Agreement and the Rental Agreements are governed by Dutch law and exclusively governed by the Amsterdam courts.